Walk around your home and take photos of any blank wall space that would make a good space to display wall art from our session. Be creative! Even small nooks can be instantly transformed by the addition of a photo or cluster of photos. If you are replacing current art, you will want to remove it BEFORE you take the photo. Shoot Straight: Stand directly in front of the wall and take the shot straight on. 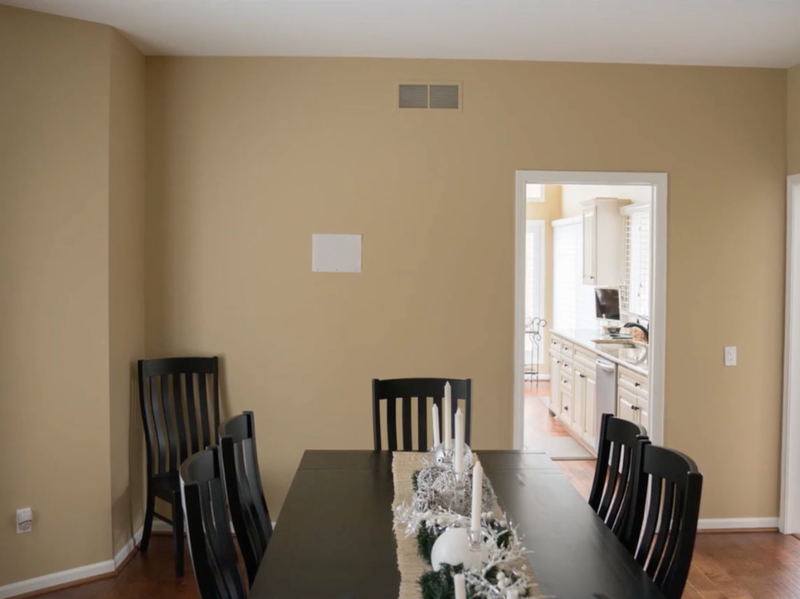 Our software overlays the images in 2D, so images that are taken at an angle to the wall will not look as realistic as those taken dead straight. Back Up: Back up as much as you can to get more of the room details in the image. This imparts a sense of scale to the design software which helps us pick the perfect size for your space! If your camera does not have a wide angle lens, your cell phone may actually be preferable. Try both and see which includes the most in the frame. Consider Lighting: Though we can work with any image, images with as much natural light as possible will look the most realistic. Try to take the images at the time of day when your rooms have the most natural light and avoid flash unless absolutely necessary. In order to calibrate your room images, I need to know the exact width of any one object in the photo. This could be the width of your couch, fireplace, table or any element that is up against the wall where the images will be displayed. It can even just be the ceiling height as long as the full height of the wall is displayed in the image. Tip: If there is nothing to measure or you don’t have a measuring tape handy, just tape a standard size piece of paper to the wall before snapping the shot - I can use that paper as my guide when scaling your image! Record your measurements (room, object & width) as you take your images. Email the measurements with your room images to me at jennifer@fotoplicity.com or include them in your Reveal & Ordering Appointment questionnaire. This information MUST be sent at least THREE days PRIOR to your Reveal Appointment. Unfortunately, without advanced notice there will not be enough time to customize the software for your appointment, however I am happy to show you mock ups on demonstration rooms. If you were sent an email with a "Send My Rooms" invitation, click HERE.